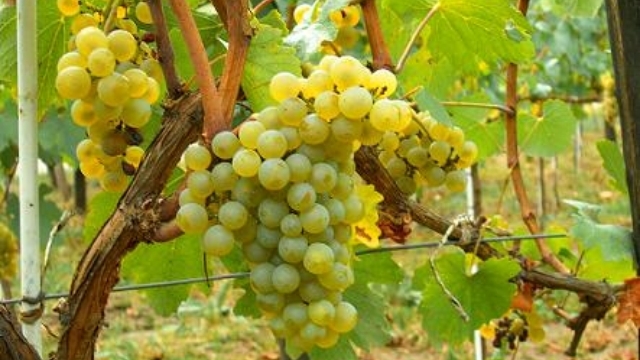 Chenin Blanc is a white-wine grape originating in the Loire Valley of France. It is a famously high-acid grape, and can make wines suitable for very extended bottle aging. It is now extensively grown in other areas, notably South Africa (where the grape and wine are called "Steen") but also including the U.S. It is generally considered one of the dozen and a half or so of world-class white-wine grapes (those in boldface in the varietals list to the left of the page). Chenin Blanc is, like another world-class white grape, Chardonnay, basically neutral in taste, and thus when well-vinified excels in conveying terroir, distinctive qualities that reflect the soil and climate in which the grapes were grown. If Chenin Blanc vines are grown in a warm climate and encouraged, they will be immensely productive—but productive of bland, low-quality grapes. If, on the other hand, they are well restrained, they yield much less but on superb quality. For that reason, in earlier times, especially in the U.S., Chenin Blanc was widely grown to make vast qualtities of cheap, rather awful jug wine, and thus acquired here an apparently unshakeable reputation as a trivial, useless grape and wine. 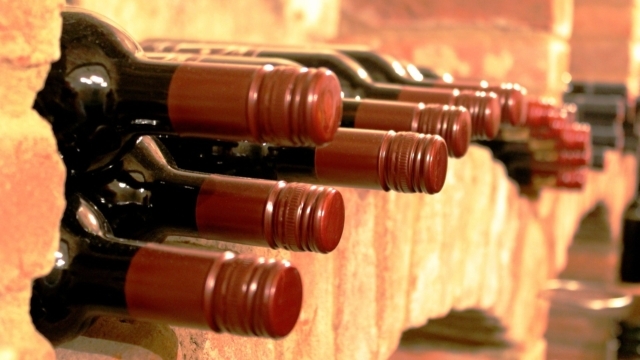 Yet in its home, it is recognized as making some of the world's very greatest wines. Little by very little, some awareness of that is now dripping into the American wine consciousness. Descriptions of the nature of Chenin Blanc often include minerality, greengages, angelica (herb), and honey, as well as apple and quince. In the New World, where the wines are not expected to be aged much if at all, vinification tends to bring out tropical fruit notes such as banana, guava, pear, and pineapple. Another French style is that of the Anjou region, where the wines are said to have more the flavors of quince and apples. And there is also Savennières Chenin, for which the tradition is aging in acacia or chestnut barrels. I think the dichotomy among reviews is based on reviewers' expectations of Savennieres. True, it is Chenin Blanc, but it's not Vouvray or Anjou or Montlouis. Savenniere, IMHO, just isn't as friendly when young as the other Loire Chenin Blanc appellations. . . No, you are not going to get a nice pow of tropical fruit to go with your acidity. This is not a Huet Vouvray and it's not a Chidaine Montlouis. But that's what's so beautiful about Chenin Blanc: There is no hiding between terroir and glass. What nature puts into the vineyard is what you get out. A wine that is closed is, in simple terms, one that doesn't smell much. Many fine wines go through a 'closed' or 'dumb' period as part of their development, a period that may last for some years. Typically a wine destined for long life will show well for a couple of years and then close down for some 5-10 years, before developing the tertiary bouquet that is so highly prized in geek circles. So pay attention to the vintage year of any Savennières you are contemplating buying and drinking soon after. Factoid: dessert-style Chenin Blancs are said to be able to take a full century of bottle aging. "The aromas and flavor notes of Chenin blanc often include the descriptors of minerally, greengage, angelica and honey. Chenin wines produced from noble rot will often have notes of peaches and honey that develop into barley sugar, marzipan, and quince as they age. Dry or semi-sweet Chenin blanc from the Loire will often have notes apple, greengage, and chalky minerals that develop into more honey, acacia, and quince aromas. New World styles of Chenin, such as those of South Africa, are more often made to be consume young and exhibit rich tropical fruit notes such as banana, guava, pear, and pineapple. The alcohol level for dessert styles Chenin rarely goes above 12%, which keeps the wines more in balance. Drier styles of Chenin are more likely to be around 13.5%." "Chenin Blanc is extremely versatile and can be produced in a wide range of styles, from bone dry to rather sweet. In that way, it could be said to resemble Riesling, another quite flexible grape. (It's also the source of some nice sparkling wines, particularly from the Vouvray region of the Loire.) The wines vary from neutral and thin with high acidity (particularly when the grape is over cropped) to minerally, even chalky, with the intensity and longevity of a great Chablis. The aromas of Chenin range from spicy to citrusy to floral and even tropical, depending on the place where it's grown as well as the viticultural and vinification techniques." "Chenin Blanc has a wide range of flavors. Part of the reason for this has a lot to do with the winemaking style. Winemakers in the original growing region for Chenin Blanc in France stop the fermentation before all the sugar is used up. 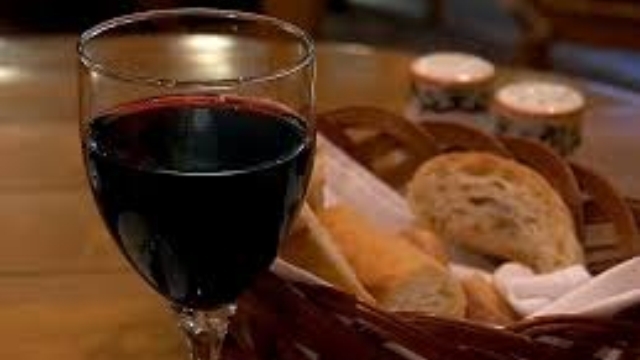 This technique has some benefits: it reduces the resulting alcohol level, makes the wine sweet and increases the wines' ability to be aged. The Quarts de Chaume AOC in the Loire is famous for some of the sweetest and longest lived Chenin Blancs in the world. . . . Chenin Blanc is also available dry. If you're buying French Chenin Blanc, look for the words Sec on the label. If you buy a South African Chenin Blanc, you'll find the more affordable versions are produced in a zesty dry style, whereas the higher quality versions are slightly oaked (and a tiny bit sweet). "Careful viticultural practices to reduce crop size and prevent sunburn can overcome chenin blanc's weaknesses and reward the effort with distinctive and excellent wines. Nearly all the truly memorable Chenin Blancs are French, from Saumur and Savennières (very dry), Anjou and Vouvray (off-dry), Coteaux du Layon and Quarts de Chaume (dessert), and Crémant de Loire (sparkling). No matter the style, a certain floral, honeyed character, along with zesty acidity are the sensory trademarks of well-made Chenin Blanc. When conditions are right, Botrytis cinerea adds additional complexity and intensity." "A truly great Chenin Blanc is typically a Moelleux, the product of a hazy autumn on the schists of the Loire which encourages noble rot and results in a toasty golden wine that has all of the complexity of any botrytised wine but with the Chenin grapes' particular layers of molten honey and crisp, dancing acidity. . . . Bonnezeaux, Coteaux de l'Aubance, Coteaux du Layon, Montlouis, Quarts de Chaume and, especially, Vouvray are all likely appellations for [Moelleux], with Vouvray and Quarts de Chaume producing some of the most intense examples. On the other hand, Vouvray is such a large and varied appellation that the name can also be found on bottles of extremely lacklustre wines whose only attributes are a certain sweetness and a certain acidity and nothing in the middle to knit them together. . . . But there are fine dry (Sec) Loire Chenin Blancs too, most famously Savennières, a tiny appellation famous for making stern whites that can take a decade to be approachable but have so much mineral extract that they can make great partners for quite flavourful foods. Jasnières and Anjou are both names that can be found on bottles of serious dry Chenin Blanc too (although Anjou is another very varied appellation)." "Chenin Blancs may be the ultimate sweet-and-sour wine, as they tend to lead with sharp, crisp, acidic flavors primarily in the form of citrus fruits: pineapple, Meyer lemon, even something akin to watermelon rind. But those sour flavors are undercut with a delicate honeyed sweetness. You may get some spicy flavors of cinnamon and pepper on your tongue and you might also get a big mouthful of smoke, which is often the by-product of the wine aging in the charred lining of newer oak barrels, which some producers use to temper the acidity of the wine. This oaking can also lead to a creaminess in the mouth, as malolactic fermentation converts the more sour malic acids into softer, creamier lactic acids." Chenin Blanc is made in all sorts of styles all round the world. Among the more noted are South African "Steen" (the local name for the Chenin Blanc grape), Vouvray, and Savennières, and we have listed one or more samples of each. ♦ 100% Chenin Blanc sourced from the much revered Skurfberg mountain. The wine was harvested when the grapes were extremely ripe, and has an alcohol level sitting at 14%. Half of the wine was aged in 400 litre oak barrels with the other half in stainless steel tank, blended together before bottling. There is rich, opulent fruit on the nose with crisp citrus and refreshing white pear mingling with fleshy mango and peach. A lush, weighty mouthfeel is nicely balanced by a taut acidity. ♦ The result is an off dry style wine with gorgeous subtle tropical fruit aromas with hints of fresh apricot which leads you to a rich silky palate offering intense fruit concentration and a lovely grip of fresh acidity. ♦ [A]n extraordinary white that marries an attractive leafiness (usually a bad thing, but not here) with some gorgeous peach and citrus fruit. ♦ Although this wine starts off a little closed and muted, with time it opens up to reveal a nuanced and refined Chenin. Hints of chalk, soft white florals and red apple unfold in the bouquet, with more dominant flavors of sweet tangerine, ripe melon and leesy richness flesh out the mouth. There's a soft oakiness throughout, though it's never overpowering or out of line. 89 points. ♦ What is striking about this wine is just how subtle and understated it is: there’s stone fruit on nose and palate, pure but not exaggerated, while a slight sweetness and bright acidity play off against each other to good advantage. Fournier-Longchamp Domaine FL Savennieres "Chamboureau"
♦ A single site wine from vineyards around the Château de Chamboreau, organically grown and hand-harvested with 3 passes through the vineyards, the first being for the dry wines. 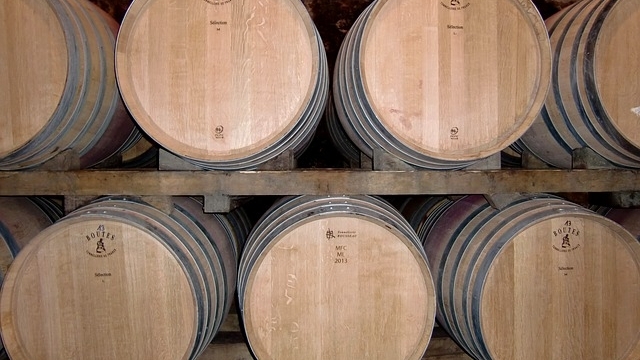 Fermentation is with natural yeasts, they do no malolactic and the wine is aged in oak for 16-18 months – 20% new. The 2008 offered an incredible mix of complex, pithy marmalade and mineral characters with high apricot-like acidity and a long crisp finish – it probably needs a little time [as of 2012]. I loved its purity though – 92/100 points. The 2007 was much, much more approachable, seeming quite rounded and fat with almost a creamy quality but with a wonderful cut of acidity and pure minerality together with a note of dried stone fruit that dominates the finish – complex and fascinating - 90.5/100 points. ♦The Savennières Chamboureau, from the more restrained 2008 vintage, was spotted as a fine, elegant wine but was simply too young and tight to go on a list at the moment . ♦ A beautiful Loire Valley Chenin Blanc with elegant fruit and great vibrancy, which offers an off-dry option. ♦ The 2012 Savennières 'Chamboureau' is a gorgeous Chenin Blanc from Domaine FL. The fruit for this wine was sourced from Domaine FL‘s 10 hectare vineyard in Savennières, where the soils are composed of a mixture of schist with some clay, quartz and dark sand. As the wine opens, it releases fresh, clean aromas of lime and tropical fruits, followed by minerals and jasmine. On the palate this displays wonderful precision, with excellent minerality and a bright core of acidity leading to the pretty finish. An absolutely gorgeous wine that is drinking outstanding right now . 91 points. ♦ Twenty year old vines. One fifth raised in new oak, but with no malolactic. 30hl/ha. Attractive, soft and proper nose. Very clean with good freshness and focus. Restrained. Modern style and very aromatic. The acidity is very fresh and juicy. The wine is quite primary and lacks a sense of place. Well structured, although a little unknit. It should come together with time, although the wine is a little too clean and manicured for the appellation. François Pinon Vouvray "Silex Noir"
♦ The Cuvée Silex Noir, in reference to the black flint soil, is the flagship Vouvray produced by Pinon. This bottling really shows off the house style which is bright, expressive chenin of great depth and precision. You often see Vouvray labelled as Sec and Demi-Sec to indicate the residual sugar in the wine but when you don’t see any designation, it usually means it’s Sec Tendre, or “tenderly dry”. This is a bottling with a bit of residual sugar but when made well, the result is a very dry wine with high acid to balance the sweetness. The Silex Noir is a fantastic example of this style. Peculiarly, Sec Tendre is a designation that isn't allowed to appear on a bottle and Vouvray Sec isn’t necessarily dry. Go figure. In any event, this wine is almost startlingly dry to the palate with high acid, low (12%) alcohol and gorgeous fruit. 2014 is the best vintage in many years for the Loire Valley and it really shows in this wine. Floral, mineral and white fruit notes dominate the nose. Flavors of pear and lemon/lime fruit with a long, mineral inflected finish. These wines are capable of long aging but so enticing as a summer wine. ♦ [Google-translated from Spanish:] It is a wine with residual sugar 15 g / l. It comes from siliceous soils. Straw yellow color, bright. On the nose it is very nice and sweet, with exotic fruits such as the hawthorn and the litchi, followed by citrus skin like mandarin. In the background there are mineral tones and scented honey. In the mouth it is slightly sweet and unctuous, but with an acidity that balances the whole. Mineral and complex taste as if it were a set of different citrus fruits. It is an exotic and peculiar wine. ♦ [Google-translated from French:] [S]moky nose, slightly terpenic. Mouth full, aerial, very pure, with a sharp / crystalline acidity very "Riesling de Moselle". Final of a great intensity, without perception of the residual sugars. A magisterial balance rarely drunk in France! ♦ This conscientious and disciplined grower and winemaker not only is certified organic and harvests the grapes by hand, but also uses only natural yeasts in the fermentation. The wine has lovely notes of granny smith apple layered with quince and white flowers. Drink now, or cellar it. François Pinon Vouvray "Cuvee Tradition"
♦ Grandma’s newly baked apple pie hints at a little baking yeast with undertones of dried hay or straw. An aspect of caramel and honey dazzle the palate ending in a floral note of orange blossom. ♦ Dense and savory, with rich texture and aromas of citrus, flowers, wool and minerals. **½, "Best Value"
♦ Great Chenin Blancs from France's Vouvray region are among the longest-lived white wines in the world. This introductory bottling from a top producer is citrusy, graceful and faintly sweet. ♦ The Cuvée Tradition is the most reliable wine and for under $20 offers great flavors of peach, minerals, and flowers. ♦ My favorite of the South African whites wines that I’ve had is the Ken Forrester Old Vine Reserve Chenin Blanc… Turns out Forrester has been dubbed Mr. Chenin and is the current chairman of the Chenin Blanc Association in South Africa. I can see why. This wine is a beauty — deep and rich with layers of flavors and aromas, and none of the cloying sweetness that can somethings slip into Chenin Blancs. This is one to seek out. ♦ On the nose, top notes of honeysuckle and fynbos before peach, pineapple and a little bee’s wax. The palate is rich and full, tangy acidity lending balance while the finish is suitably savoury. Substantial despite a relatively modest alcohol of 13.5%. 90 points. ♣ 2014 vintage, 5 stars, Platter’s South African Wine Guide. A further list of awards can be found on the WestCape page for this wine. ♦ A truly delightful, refreshing wine from the "King of Chenin," the nickname often used for Ken Forrester, the former restaurateur who founded this winery in 1994. Recently purchased by a French corporation, this winery knows how to produce unique, interesting Chenin Blancs. This one in particular tastes…slightly grassy, but not overpowering. A real gem. ♦ This wine is a light golden color, and you can see the big legs coming down the glass after a swirl. It doesn’t look like a light wine, and it’s not considering the 14% alcohol content. The wine sees some significant barrel time, and the oak is very apparent on the nose, along with melon, vanilla and honey notes. It’s all quite nice, and then it gets reinforced when you take a sip. On the palate the wine really delivers, with the oak lending a nice wrapper to the complex profile. It’s dry, full bodied and presents a long and clean finish. We got this for about $13, which is really insane. This wine just oozes quality. If you like white burgundy you should try this. I know it’s not Chardonnay, but just try it. Outstanding value and on The Value List it goes. ♦ Hints of tangerine, lemons and herbs as well as ripe pear fruit. Nice concentration and good length. ♦ Tree fruits dominate this wine, including mealy apple, spiced pear, and quince jam. The ripe and cooked qualities contribute to a hint of sweetness, but the wine finishes dry due to the refreshing acidity and undertones of citrus. Hints of lanolin and petrol are markers for Chenin Blanc and show the typicity of this wine. Lees aging adds a creamy texture. The style is waxy, broad, and unctuous, but stays in balance with a mineral finish. 89 points. ♦ [O]ffers peachy fruit salad and spice aromas enlivened by a hint of grapefruit pith. This rich, silky, fairly full chenin conveys a slightly sweet impression nicely leavened by harmonious acidity. Its dry finish features hints of ripe stone fruits and quince. ♦ The 2012 Secateurs Chenin Blanc has a light but pure bouquet with lemon peel, grapefruit and hints of wet wool. The palate is crisp and vibrant on the entry with touches of lanolin and litchi nuts. This is so well balanced – uncomplicated but delicious. ♦ Full-bodied yet discreet and inviting, with herbal, floral and citrus flavors. "Best Value". ♦ This wine is 100% Chenin Blanc sourced from old vines, a good deal of which are 50 years old. The fruit is harvested over 12 days which is added daily to the already fermenting fruit in concrete tank and older French oak casks. It is then aged for seven months on the gross lees. Alcohol 13.5%. The color is a light yellow-straw. The light nose reminds me of yellow citrus and indigenous yeast aromas. In the mouth the citrus flavors are fresh with moderately creamy mouthfeel, yeast notes, and ripe, gravelly flavors. With air this medium to full-bodied wine reveals spices and yellow fruit all delivered with a honied mouthfeel. ♦ [O]ffers orange blossom aromas and citrusy flavors. ♦ [W]ould certainly have a strong case for sporting the best quality-to-price ratio of chenin that I tasted in South Africa. It's from vines planted in the 1960s, hand-harvested, fermented over 20 days and left on the lees for seven months. The resulting wine has the honeyed notes of chenin and surprising complexity for an entry-level wine.